2.Why do some people insist on using Linux? 3.We do not honor our hardware warranty when you run Linux! 4.It's your fault for using Linux. 5.No matter what the problem is, it's your Fault. Linux is a clone variety of Unix written by Linus Torvalds with assistance from a loosely-knit team of hackers across the Net. It aims towards POSIX compliance. It has all the features you would expect in a modern fully-fledged Unix, including true multitasking, virtual memory, shared libraries, demand loading, shared copy-on-write executables, proper memory management and TCP/IP networking. It is distributed under the GNU General Public License, developed originally for home PCs, but which now runs on practically every hardware platform available including PowerPC, Macintosh, DEC Alpha, Sun Sparc, ARM, Mainframes, and many others. Linux aims for POSIX compliancy to maintain maximum compatibility with other UNIX-like systems. With millions of users worldwide, Linux is probably the most popular UNIX-like OS in the world. Why do some people insist on using Linux? Free software and open source are not synonymous. Free software is more of a political stance than an economic one: "free" refers not to price but to philosophy. Free software can be used and modified without restriction. In the proprietary, single vendor or non-free software world we know this concept as piracy, except where very liberal licenses apply. Freedom to modify is a pillar of this philosophy. The responsibility accompanying that freedom comes in the form of the GNU Public License (GPL). The GPL states that distributing a product that uses free software within its core or periphery (derivatives of the GPL differ) requires the distributor or vendor to also distribute or make available the product source code so that others may enjoy the same freedom to use and modify. "Name GNU is a hack. Because it's a recursive acronym. It stands for "GNU's Not Unix". There was a line of connection between Unix, Xenix, Sinix, Minix and, finally, Linux. From: torvalds@klaava.Helsinki.FI (Linus Benedict Torvalds)Newsgroups: comp.os.minixSubject: What would you like to see most in minix?Summary: small poll for my new operating systemMessage-ID: <1991Aug25.205708.9541@klaava.Helsinki.FI>Date: 25 Aug 91 20:57:08 GMTOrganization: University of HelsinkiHello everybody out there using minix -I'm doing a (free) operating system (just a hobby, won't be big andprofessional like gnu) for 386(486) AT clones. This has been brewingsince april, and is starting to get ready. I'd like any feedback onthings people like/dislike in minix, as my OS resembles it somewhat(same physical layout of the file-system (due to practical reasons)among other things).I've currently ported bash(1.08) and gcc(1.40), and things seem to work.This implies that I'll get something practical within a few months, andI'd like to know what features most people would want. Any suggestionsare welcome, but I won't promise I'll implement them :-)Linus (torvalds@kruuna.helsinki.fi)PS. Yes - it's free of any minix code], and it has a multi-threaded fs.It is NOT protable (uses 386 task switching etc), and it probably neverwill support anything other than AT-harddisks, as that's all I have :-(. Linus never published any description of the internals of the kernel. LINUX is just different--unique and simple. "Free Software generally does have a copyright.It does have an owner.And it has a license.It is not public domain.If we put the software in the public domain,somebody else would be able to make a little bit of changes and turn that into a proprietory software package,which means that the users would be running our software,but they wouldn't have freedom to cooperate and share.To prevent that, we use a technique called "Copyleft". The idea of Copyleft is that it's "Copyright" flipped over.This software is copyrighted and we, the authors give you permission to redistribute copies,we give you permission to change,we give you permission to add to it.But when you redistribute it, it has to be under these terms,no more and no less..."
"I mean, clearly there were a lot of interesting applications on Linux, The killer app of Linux was undoubtedly the Apache web server.Essentially, Apache became the application that motivated Internet service providers and e-commerce companies to choose Linux over Microsoft's Windows.And Internet service providers really liked Apache because it allowed them to do a lot of different things that some of the commercial web servers didn't if you are an ISP and you would have 40,000 users and they all want their web site, is gonna be pretty important to you..."
A Linux distribution, often simply distribution or distro, is a member of the GNU/Linux family of Unix-like computer operating systems. Such systems are built from the Linux kernel and assorted other packages, such as the X Window System and software from the GNU project. Distributions optimized for size tend to use more compact alternatives like busybox, uclibc or dietlibc. There are over three hundred Linux distributions, all of which are implementations of the GNU/Linux operating system.Because most (if not all) of the kernel and supporting packages are some combination of free software and open source, Linux distributions have taken a wide variety of forms — from fully featured desktop and server operating systems to minimal environments (typically for use in embedded systems, or for booting from a floppy disk). Aside from certain custom software (such as installers and configuration tools) a "distro" simply refers to a particular assortment of applications married with a particularly compiled kernel, such that its "out-of-the-box" capabilities meets most of the needs of its particular end-user base. Linux is not not harder to use--Linux is just different--unique and simple. If you wish Linux to be just exactly like Windows, you will probably be disappointed. When I started using Linux, I really be prepared for it and i liked it. "Tell the truth and run." — Serbian proverb. The very best thing about Linux, in my opinion, is the fact that you can boot the CD and try it out in a totally non-destructive way. Actually, Linux is an Open source, Real-Time Strategy game supposedly designed and developed solely by the members of the arctic Penguin species. Moon Goon: I'm impressed with the writings on the encyclopedia you refer but if they wrote it then this must surely be true.. I'd say Vista is remarkably close to Linux these days - you have to hunt down drivers or hardware compatible with Vista, forget older apps if not compiled on .NET and even the features bundled with the new explorer is somehow getting closer and closer to the nautilus file explorer for gnome. Just wish a redesign for XP OS or a quick jump for a faster NT7 because my new 2Gb RAM Vista laptop is by far much slower than my old 512Mb RAM laptop which still came with XP some years ago and I admit to be living on a quite frustating work situation for daily use. Ubuntu on this machine is faster than Vista but it also has some downsides that still make any MS OS a tad easier to handle. By the way, better than wine in my opinion is Seamless integration - mikorist - you might be able to explain this better than myself but perhaps others would like to know it exists. An article on this matter would also be welcome, what do you say? Virtual Box has this option bundled inside and no need to do any manual steps to get it working. The name 'Wine' derives from the recursive acronym Wine Is Not an Emulator. is to be able to take a MS-Windows binary and run it under X-Windows. Currently Wine is supported by two operating systems: Linux and NetBSD. be loaded, and dynamic linking will have to be performed. theoretically the same result is possible under Wine. consumption, it will be uploaded to a publicly visible directory. * ReactOS, a project to write an operating system compatible with Windows NT down to the device driver level. * Darwine, a port of the Wine libraries to Darwin and Mac OS X. Darwine originally aimed at compiling Windows source code to Mach-O binaries. With the advent of Apple-Intel architecture, Darwine began running Win32 binaries in x86 Darwin and has approached version parity with the Wine trunk. The Darwine project also continues progress on PowerPC by combining Wine with the QEMU x86 emulator. * Odin, a project to run Win32 binaries on OS/2 or convert them to OS/2 native format. The project also provides the Odin32 API to compile Win32 programs for OS/2. * E/OS, a project attempting to allow any program designed for any operating system to be run without the need to actually install any other operating system. * Rewind, a defunct MIT-licensed fork of the last MIT-licensed version of Wine. *Parallels. is a proprietary product that uses some Wine code for its DirectX handling. The Linux Unified Kernel is a project to import certain key features of the Windows OS into the Linux kernel.The project is hosted by Insigma, and is issued under the GPL. According to its developers, 'the current version of (0.2.1) provides several Windows mechanism implementations, including process/thread management, object management, virtual memory management, synchronization, etc. Also, the relevant system calls are implemented to replace the services running in the user space. Process/thread management which is one of the most important components in Linux Unified Kernel is implemented based on the previous release. In this version, some other strategies such as multi-threading are introduced, so that the process/thread management can take the place of the corresponding operations in Wine. One of the interesting features of the project is that the windows syscalls via software interrupt "int 0x2e" are explicitly handled by the extended kernel, as well as linux syscalls via "int 0x80". Both artictles deserved a "Like This" from me. ..... and what about BSD? In fact, Mac OS X linux derivative is based on a Unix operating system. And interface is nexStep 's advanced form. In fact it is NOT a linux derivative at all, it's origins are partly Mach and part BSD. OS X is based upon the Mach kernel. Certain parts from FreeBSD's and NetBSD's implementation of Unix were incorporated in NeXTSTEP, the core of Mac OS X.
I am not a security expert at all. 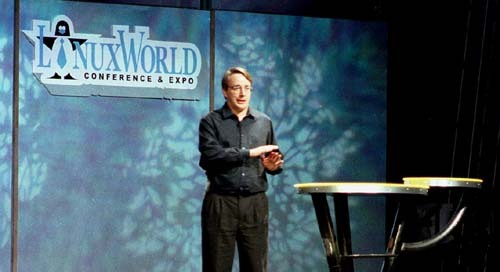 1.Linux® is a registered trademark of Linus Torvalds in the United States and other countries. 2.FreeBSD® is a registered trademark of the FreeBSD Foundation. 3. Solaris™ is a trademark or registered trademark of Sun Microsystems, Inc. in the United States and other countries. Does NSA/US government use Linux as their main operating system?? which apply to all processes and files. NSA really want to help EVERYONE LINUX users with security? But your US tax dollars are paying for SELinux package! The SELinux package you can disable or enable it. 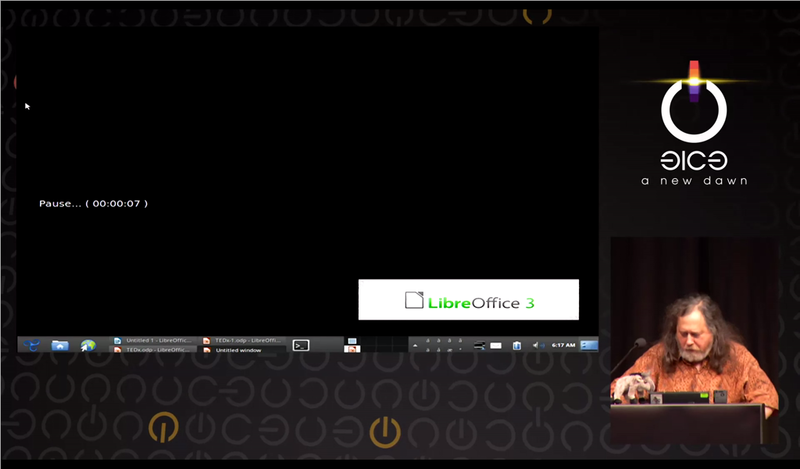 we can take to be relatively secure in Linux as home desktop users. 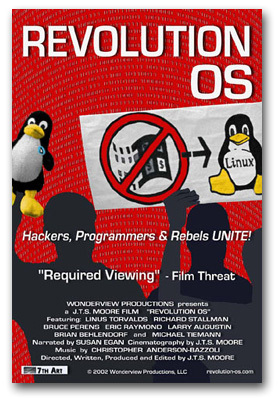 We Must Have non-nonfree software distro . Distribution must not have nonfree applications, nonfree programming platforms, nonfree drivers, nonfree firmware “blobs”, nonfree games, and any other nonfree software in any segment or part of the binary code . Trisquel is derived from Ubuntu. Of course nonfree binary blobs removed. No BSD distribution has policies against proprietary binary-only firmware that might be loaded even by free drivers. Technically speaking, "Linux" is *only* the kernel itself, not the OS and softwares. The Free Software Foundation, from my understanding, insists on the name GNU/Linux for this reason, Linux being the kernel, and GNU/GPL comprising much if not most of the OS and softwares. 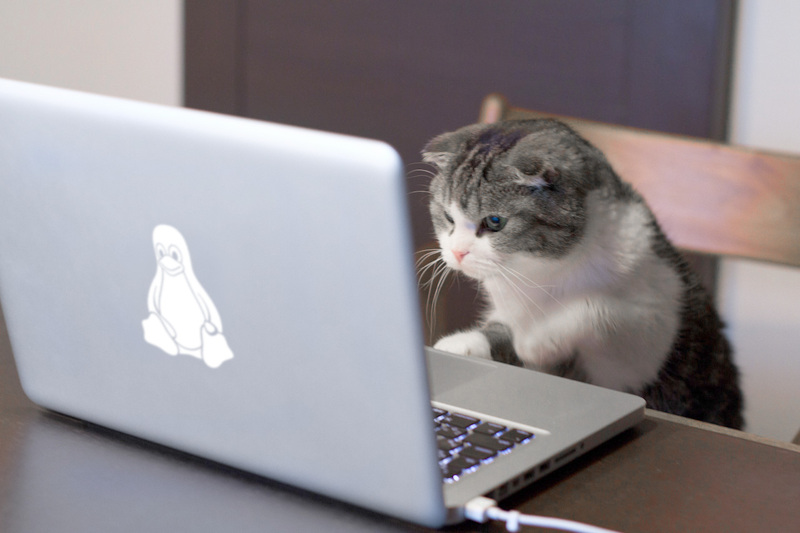 Today what many people call "Linux" is inaccurate, and they may or may not realize it. There are also others that generically just say Linux rather than GNU/Linux. The FSF is opposed to this and feel they deserve a big chunk of the credit for Linux's early development, and insist that for this reason they should play a prominent role in what name is used, and influencing more people to fall in line with their name of choice. They are a rather radical and extremist organization, but they make alot of good points. I'm neither for nor against them. I also disagree with many aspects of the GPL, and think that something like the MIT open license would be far less restrictive. Unfortunately, too many open source devs GPL their software, and this exerts alot of undue influence. As for the name, I personally could care less whether it's called Linux, GNU/Linux, or something similar, I only care that it is useful and interesting. I like to take a more practical and realistic approach, sticking to "what works" and "gets the job done", with less of the ideology and opinionation. I also dont insist that all software be open source and free (as in freedom of usage, not free beer). Proprietary software is fine, but I do lean more towards free and open source when possible. Yep. Linux is new kernel. GNU Operating System is therm that i use now. It is a philosophy of freedom and privacy. I matured enough for it now . Not so easy to produce GNU Operating System (GNU OS) beacuse must have all nonfree elements 100% . I use on my PC Trisquel GNU/Linux . All spy things are just there backdoored in nonfree programming platforms, nonfree drivers, nonfree firmware “blobs”, nonfree games, and any other nonfree software. ignorance is bliss . . .
Max, this is (or look's like) today wmaker, so windowmaker in Linux.. look's same ..
Spyware in MacOS: Spotlight search sends users' search terms to Apple. do not know about you - but I believe every word that written or spoken by Richard Stallman. i think that some of the linux-debian... should develop them or at least create a wine for drivers . the best being europe , china and usa govs making laws that oblige cards makers to make a linux driver..
it's actually more like as a Hackintosh Buyer's shopping list where you literally have to buy in advance supported and compatible components. But that's the price for FREEDOM. @ Mikorist: Linux is a "new" kernel?! Really?! It's always been my understanding that the Linux kernel has been around for quite awhile (at least since the early 90s). You speak as if Linux were a new phenomenon, a new kid on the block. Your assertion that any system that isnt comprised solely of GNU components cannot be free from Big Brother's watchful eye is something I would have to disagree with. It is a display of an air of ignorance and arrogance that only a GNU system can be truly free from controls, while discounting everything else. GNU/GPL isnt the only licensing agreement that allows for the possibility of open code and 100% free components. I personally think most software should be in the public domain, copyrighted by noone and owned by everyone. While there is still the possibility that someone may come along, modify the code , and copyright/patent it, surely legal restrictions can be put in place to prevent this kind of misuse/theft. I think the FSF's position on this is somewhat paranoid, unjustified, and a overstretching of the facts/reality. Do you not think that agencies like the NSA are not smart enough and powerful enough to insert backdoor code into pretty much any software, including free and open source? We do, after all, have Echelon, a surveillance system that is capable of monitoring any/all Internet comms worldwide. Ed Snowden also made some interesting revelations. The code may be open, but this doesnt mean this cant happen. It would be more likely to be noticed, but there are many clever ways to obscure code. I call it the art of deception and intentional misdirection. Con artists and magicians do this all the time. The info you provided about Apple is quite interesting, and may kill off any desire of mine to successly install a Hackintosh OS. But can you provide other links (you are, after all, the one making these claims here). While I do believe much of what the FSF wrote, they provided no independent references/bibliography links at the bottom of their page. I will not simply believe something just because some person/group/org makes a claim, I'm a free thinker and like to see (relatively) objective proof, preferably from multiple sources and can be proven via methods that the average person would find good enough to count as proof. the drivers are also the bug because os only have the one chiped for mac..
No special software they need .Only nonfree drivers and nonfree firmware “blobs" from factories can do job for them (do not ask me how I know that) .It is very important not to have them .I do not have them on my computer.SELinux package is one piece of the big puzzle. All the time I repeat only what Richard Stallman says . I had the opportunity to personally meet him - and I can say that I believe in him .You do not need proof.It is enough to carefully listen what he does and what he says .A lot of material on the Internet about that, only takes time to reconnect the puzzle.It took about 15 years for mine. I would also like to note that, in my limited experience with Linux, drivers havent really been a major issue. I oftentimes had to manually install a video driver or some obscure wifi driver for an otherwise nonfunctional wifi card, but for the most part, most of my hardware components seemed to be functional out of the box. With Windows, I've had to manually install most drivers to get full component functionality. This is one area where Windows still lags far behind. so server is fine running and very quick for all players even north of europe while i live in the south .